Click here for Part One and here for Part Two of the article. And as Mîmi’s head retained its wisdom after it was cut off, heathendom seems to have practiced all sorts of magic by cutting off horse’s heads and sticking them up. In a nursery-tale (no. 89) the trusty Falada’s head is nailed up over the gate, and carries on converse with the king’s daughter. This cutting off and setting up of horse’s heads has been mentioned at p. 47-8 as an ancient German custom. O du Falada, da du hangest! O you Falada, there you hang! Odin took the head, smeared it with herbs so that it should not rot, and sang incantations over it. Thereby he gave it the power that it spoke to him, and discovered to him many secrets. 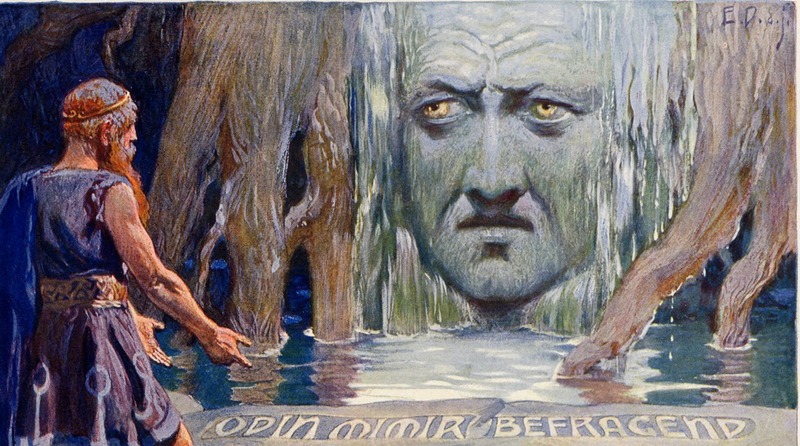 The idea that the talking head reveals secrets is common to both the Icelandic myth and the German fairy tale, recorded nearly six hundred years apart from each other. The horse’s head in the fairy tale seems like a half-remembered and mythicized memory of the níðstöng. 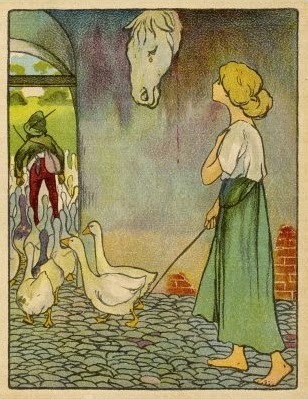 In his Teutonic Mythology, Jacob Grimm writes that, in this Hessian fairy tale, “we have surviving, but no longer understood, a reminiscence of the mysterious meaning of a suspended horse’s head.” As with the other examples we’ve seen, the horse-head bears witness for the less powerful player in the conflict and brings shame upon the person who has gone against the cultural codes of conduct. Note: You can read the entire story in English (including the unbelievably grim fate of the grasping chambermaid) by clicking here. Followers of The Norse Mythology Blog will, perhaps, not be greatly surprised to learn that the níðstöng tradition continues in modern-day Iceland, a land where so much of the Old Way is still part of everyday life. In 1985, Sveinbjörn Beinteinsson received national media attention when he raised a níðstöng against nuclear weapons as part of a protest led by the Samtök Herstöðvaandstæðinga (“Coalition Against Military Bases”) on the fortieth anniversary of the bombing of Hiroshima and Nagasaki by the United States. 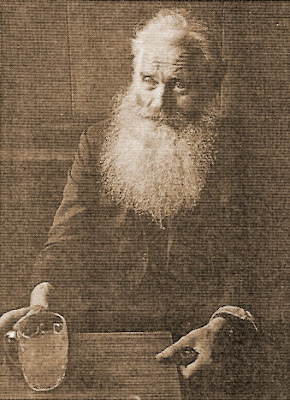 Sveinbjörn was the founder of Iceland’s Ásatrúarfélagið (“Æsir Faith Fellowship”) and its allsherjargoði (very roughly translated as "high priest") from its inception in 1972 until his death in 1993. I’m just doing things that Sveinbjörn did early on. He was also against the damaging of nature in Iceland by the multinational companies who are, basically, sucking out all the profit and leaving nearly none of it here in Iceland. As with ancient usage of the níðstöng, the modern poles are raised against an overwhelming force of greater power – one that can not (or will not) discuss issues on equal terms. Then and now, the goal is to shame the níðstöng’s target and focus community disapproval. Awareness of the níðstöng-raising would have once worked its way through a word-of-mouth network; today it is propagated by the national media. What I read and see in this news are people who have no knowledge about using níðstöng. One of those poles is with a fish head on top of it, and that is not níðstöng but vindgapi, which is part of a weather-magic to conjure a storm. 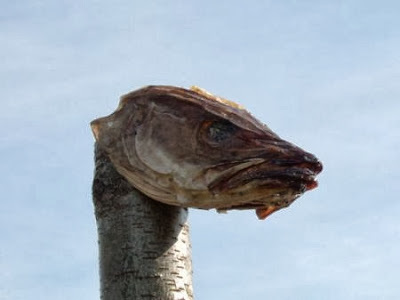 A Icelandic níðstöng from 2009 – The fish-head is plenty scary! The use of fish-heads, however, may simply be a result of squeamishness about using a horse’s head. This is completely understandable, given the Icelandic love for their special breed of horses. Even if the modern Icelanders are mixing up various forms of ancient magic, the intended significance of the pole is clearly as níðstöng. 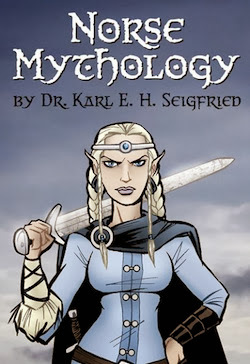 I think the biggest reason is that Icelanders read the Viking sagas over and over again, so they are reminded about níðstangir in the sagas over and over again. Níðstangir are also so associated with sorcery and magic – which lived greatly in Iceland for so long – so the magic runes and sorcery are still deep in the nation's mind, at least from a historical point of view. Even though we Icelanders might not now believe literally in the magic níðstangir have, we still pay respect for their meaning. Níðstangir are raised if someone has very bad thoughts about some other person, or literally hates him. It’s the biggest shame you can ever get on yourself, and it gets attention because Icelanders are very aware of its meaning. Today’s níðstöng is not always used against large, faceless entities. Sometimes, a níðstöng is erected in connection with personal disputes. In 2006, the Icelandic media reported on a níðstöng-raising that seems straight out of an ancient saga-story about two farmers having a dispute over land and livestock. This translation of a Vísir article was posted by the members of the Icelandic metal band Sólstafir. I’ve edited it a bit for clarity. Þorvaldur Stefánsson, a farmer in Otradal, has erected [a níðstöng] on his land, and it's clearly visible from the main road. The reason for this níðstöng is that, a year ago, Óskar Björnsson – who lives in Bíldudalur – had the misfortune to drive over a puppy belonging to the farmer Þorvaldur. [Þorvaldur] has since decided that this was done with malicious intent, and their disputes have steadily increased. Óskar Björnsson has reported this as a death threat from Þorvaldur to the police. 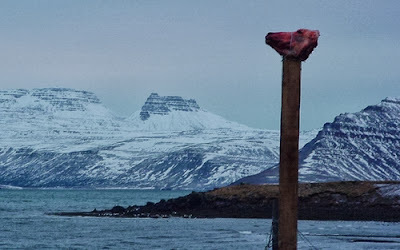 According to police on Patreksfjörður, they will talk to Þorvaldur, but it is not clear what action will be taken as modern laws do not cover the erection of níðstöng. Þorvaldur is clearly using the curse from Egil’s Saga, which places an injunction on the land-wights that they shall have no rest until they avenge his wrong. After more than 1,000 years, the words of the ancient poet still have the power to inspire fear in the hearts of an Icelander. Finally, I offer you some practical information. These are the verbal instructions of Ásatrúarfélagið founder Sveinbjörn Beinteinsson for níðstöng contruction, transcribed by Jónina K. Berg, who herself led the Ásatrú organization from 2002 to 2003. I would like to deeply thank Jóhannes A. Levy for sharing the original text with me. This is its first appearance in English. The níðstöng is made from a tree. Preferably, the wood should be intact, i.e. not sawn lengthwise or trimmed into shape. The appropriate height of the tree is just over the height of a man. Carve the wood with runes lengthwise. Begin carving from the end which is turned down and extend the runes a long way toward the other end. From that end, continue carving the runes down the other side. It is possible to cut more than these two lines, but there are two lines that are the most natural. Take care that no part of the carvings end up in the ground when the pole is raised, which means that you need to keep the lower end uncarved, one or two feet. At the upper end, some signs should be fixed: horse head, fish head or some appropriate symbol; these may be carved at the end of the pole. The number of runes are important. The number must be a multiple of twelve: 12, 24, 36, 72, 144, etc. They should be carved so that each rune stands correctly when the pole is in place, not sideways or upside down. Try to have a balanced range of runes in size and appearance. No additional marks of runic rows should be made, but the head of the pole can have images and signs. The subject of the carvings will not be discussed here; the carver or the raiser of the pole will make that decision. The nið will be stronger if written in verse. The most critical issue is that the words be rational and rightly devised, otherwise the nið may prove useless or – if the mistakes are large – it may turn against the author of the pole himself. As an accomplished poet, Sveinbjörn places great emphasis on the number of letters and the power of verse. His instructions also tap into the entire history of the níðstöng that has been discussed throughout this series. The emphasis on the intact wood is reminiscent of the trees with attached skulls in the German forest. While the use of the horse-head is common to most of our above examples, the suggestion of a carved image at the top of the níðstöng lines up with the work of Skeggi and Jokul – and with Simek’s suggestion that an actual animal head may not necessarily be an intrinsic part of the níðstöng. Sveinbjörn’s conception of the rune-inscribed curse is the same as that of Jokul and Egil. The idea of the badly-made magical object turning against its creator is also a theme running through the examples we have seen. Whether or not you choose to erect a níðstöng against some dastardly foe (boss man, chairman, congressman, etc. ), I hope that this series has helped you gain a deeper understanding of this ancient tradition – a tradition that spans 2,000 years and many different lands. I encourage you to delve into the sources that I have cited and explore the intertwining histories and cultures of the North. Please be nice to horses and be careful to not bring nastiness down upon your own head by accident! Out of curiousity, is it possible that there is a relationship between the practices described here (esp. w.r.t. Mimir) and Celtic head taking practices? I am not clear on the specifics, but I thought that the Celts believed that taking a foe's head garnered them some sort of power or potentcy. I even seem to recall some story about a Celtic warrior who was offered a significant sum of money for a head he had taken, but this offer was refused. Just a thought. Excellent set of posts on this subject, and a delightful read. Many thanks for posting! "In Celtic mythology and folklore a prophesy-giving head in a spring is by no means a rare occurrence, and the origin of the Nordic myth is probably to be found in this area. On the other hand, names for waters such as the German Mimling, Swedish Mimesøa and Mimesjöen deserve consideration as they too appear to indicate a belief in a wise, prophesying being living in the waters." So there do seem to be, at the very least, parallel beliefs between the Celtic and Germanic areas relating to this idea. Wow! 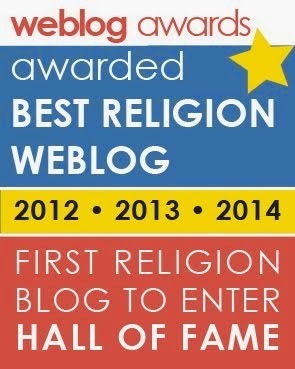 Thank you so much for the well-researched posts on this blog! I've been studying Níðstöng for a few years, and I appreciate your posts. I am looking forward to reading future post on this site! Could we be seeing the use of skulls - horse or otherwise - as a remembrance of an older sacrificial practice, such as you suggest with the reference to Fenrir and to wolf skulls, and the reference to the eagle overhead. I am reminded of Heorot and the Hart's head erected over the door, so similar in many respects to the Goose Maid's Tale. What then of the act of hauling Grendel's talon on high for all to see the power of Beowulf and of men over the supernatural world? I suspect a broad, and perhaps rather more fluid, ritual framework for such acts in pre-Christian times. Perhaps Egil refers to this also in his caution of the ignorant use of runes.